Coca-Cola has had a fun variety of slogans throughout the years. 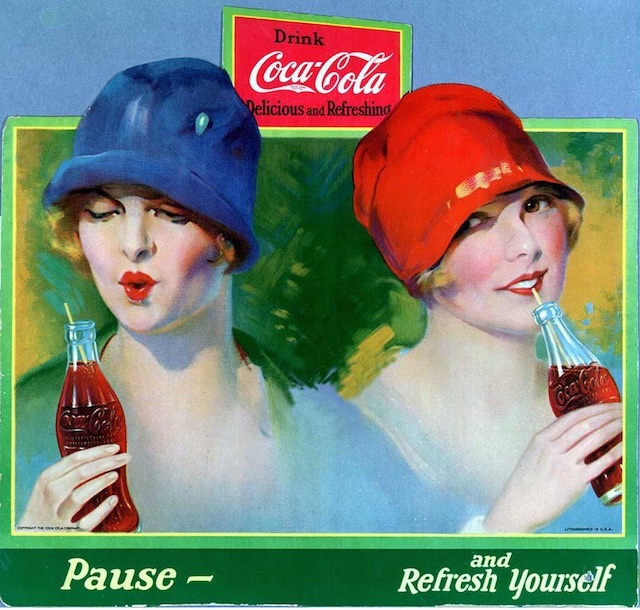 One of the most well-known Coke sayings is “The Pause That Refreshes,” first seen in 1929. Variations of this slogan have been used through the years. The history behind the original use of the slogan is very interesting and something we’d like to share with you. 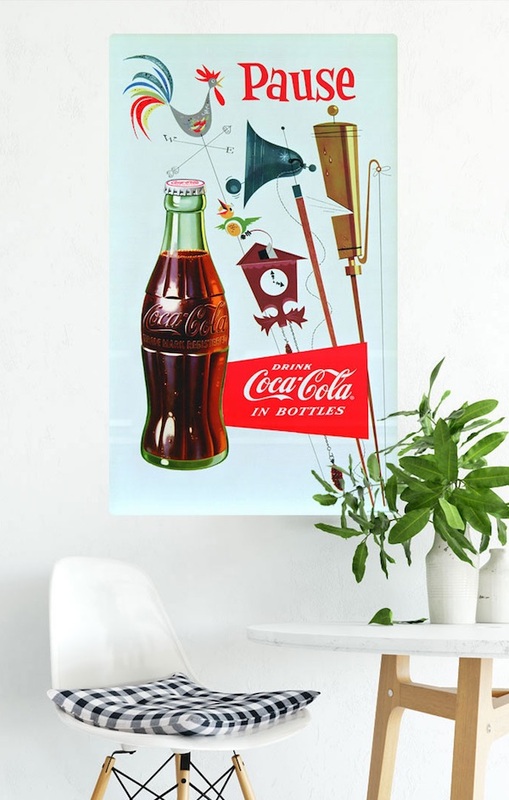 This colorful Coca-Cola wall decal features a soda jerk like those seen at local soda fountains in the 40s and 50s. Available in several sizes, this wall sticker is a great way to decorate without hurting your walls. In the late 1920s, America’s economy was heading into a depression. Robert Woodruff, Coca-Cola’s president, was looking for a way to set Coke apart from other soft drinks and make it more appealing at a time when people were struggling financially. Life for the individual was getting busier in a more modern world and Woodruff wanted to encourage people to slow down and take time to enjoy Coke and to drink it often. His hope was to make Coca-Cola more than just a beverage, he hoped to label it as a pleasurable escape from the rush of the everyday world. Creating a slogan to convey this was assigned to Archie Lee, friend to Woodruff and copywriter at the advertising agency D’Arcy Co. in St. Louis, Missouri. Coca-Cola had been their first client when they opened in 1906. This is a cardboard ad from Coca-Cola in 1925 featuring the slogan, “Pause and Refresh Yourself”. What a vibrant, beautiful ad! This is a copy of the first ad in the Saturday Evening Post to feature the “Pause and Refresh” advertising campaign in 1929. The Circus Girl Good Pause wall decal features pinup art by Coca-Cola artist Gil Elvgren. We offer these easy to hang and remove wall decals in sizes ranging from 12 x 6 to 60 x 29 inches. 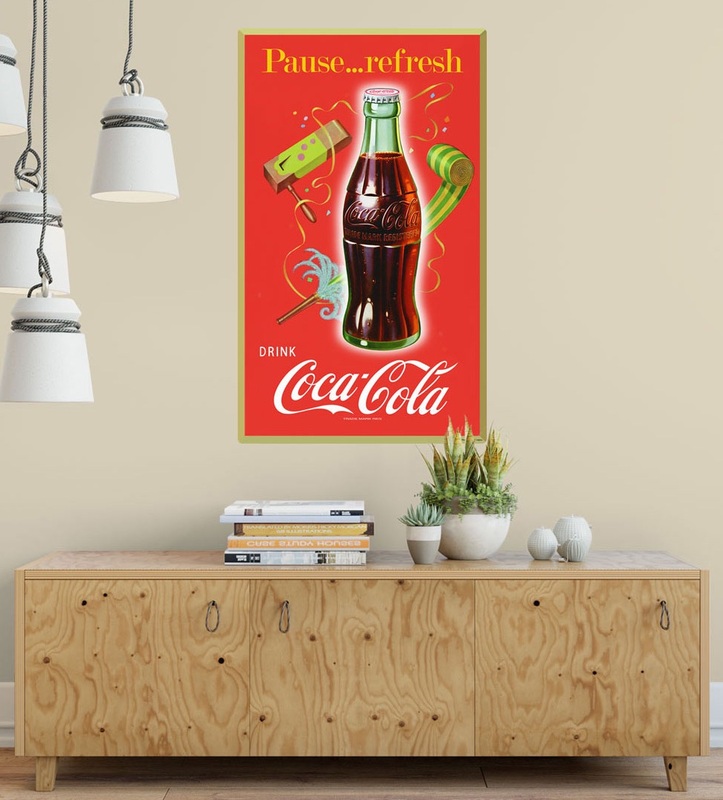 The Coca-Cola Pause Refresh Party Noisemakers wall decal is available in 7 x 12 to 36 x 60 inches sizes. Easy on, easy off—it’s a great way to decorate for a party or for everyday! The Coca-Cola Pause for Coke wall decal is available in 7 x 12 up to and including 36 x 60 inch sizes. Wow, Coke and basball together—two of America’s favotites! The Pause . . . Work Refreshed 12 x 18-inch embossed metal sign is beautiful artwork encouraging anyone who labors to take a break with a nice cold Coke. 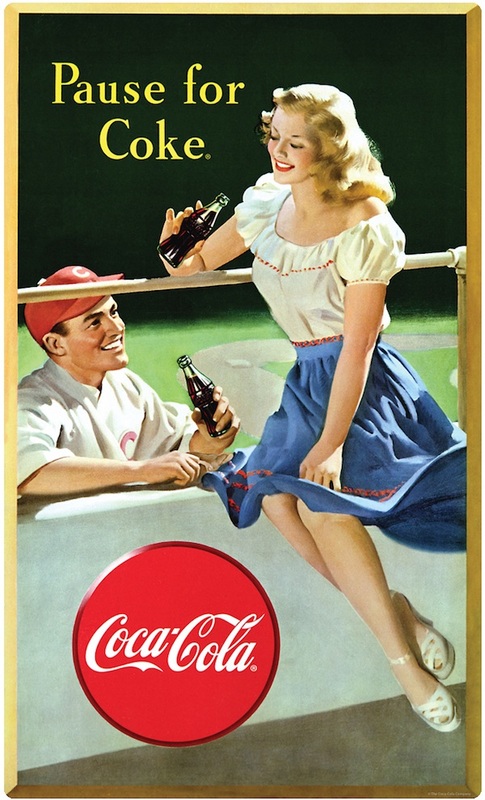 A reproduction of a 1942 Coca-Cola advertisement. 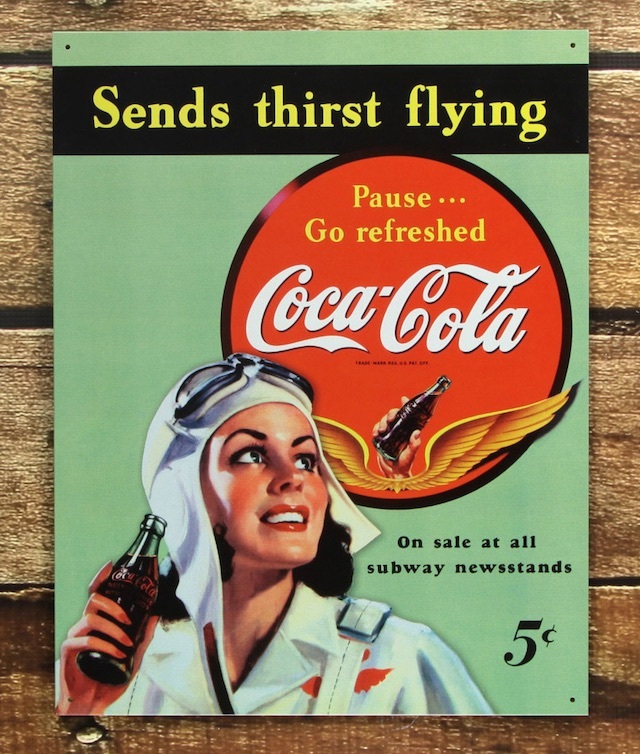 This reproduction of a 1944 Coca-Cola ad features a female WWII pilot in a flight suit taking time to enjoy a Coke before she takes to the skies. Measures 12.5 x 16 inches. 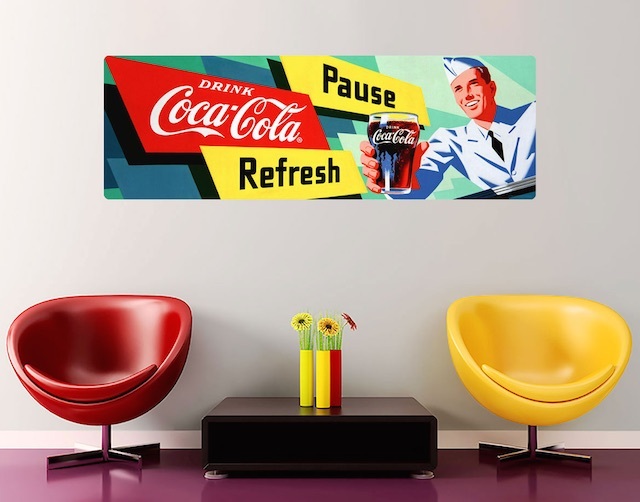 The Coca-Cola Pause Wall Decal available in 7 x 12 inch to 36 x 60 inch sizes. Graphics include great imagery illustrating exactly the kind of things we’d like to take a pause from in our day! 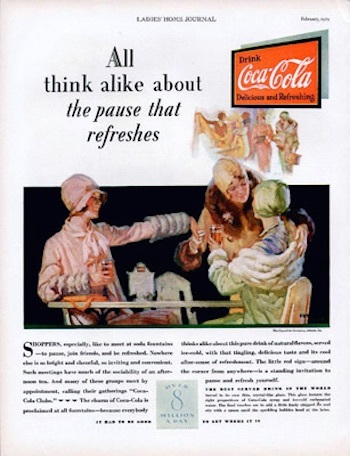 Further use of the idea of pausing with a Coke was promoted in 1954 with the release of monthly booklets containing ideas for decorating and entertaining called “Pause For Living.” The idea was to offer ideas for “gracious living” and were the booklets targeting all types of women’s clubs, garden clubs, beauty salons and similar groups. The booklets were published through 1969. The first year 300,000 copies were circulated and as many as a 500,000 were available the final year of publication. 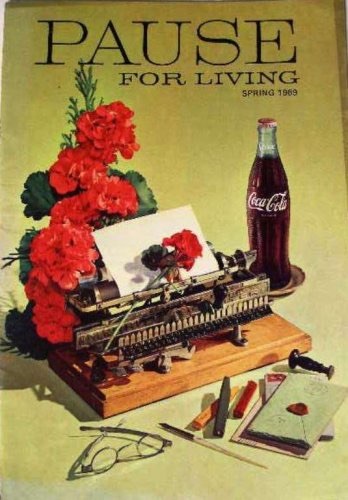 The popular booklets were intended to let women know that Coca-Cola was the perfect drink to offer when entertaining friends and family. 1969 Issue of Coca-Cola Company’s “Pause For Living” Magazine. 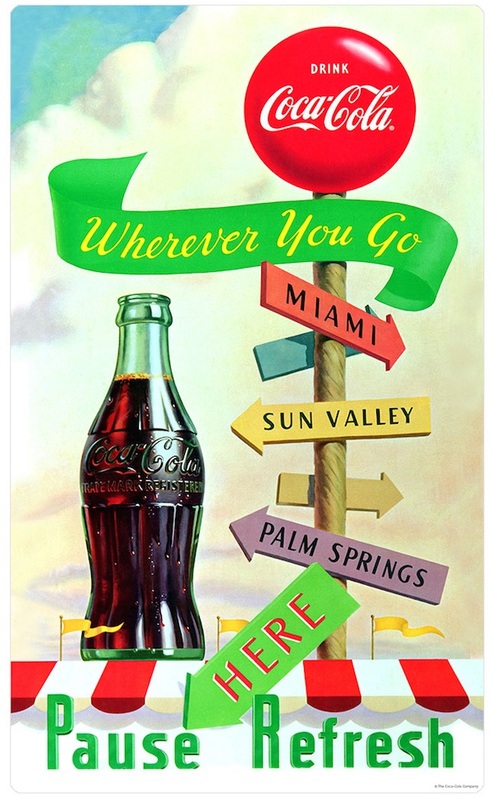 The Coca-Cola Wherever You Go wall decal is available in sizes ranging from 7 x 12 to 36 to 60 inches. What a terrific way to decorate your home while displaying your love for Coke! 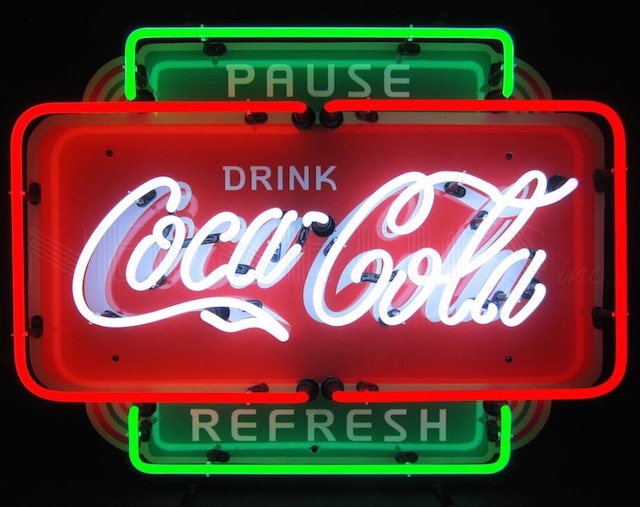 The Coca-Cola Pause Refresh Neon Sign measures 26 wide x 20 high x 4 deep inches. 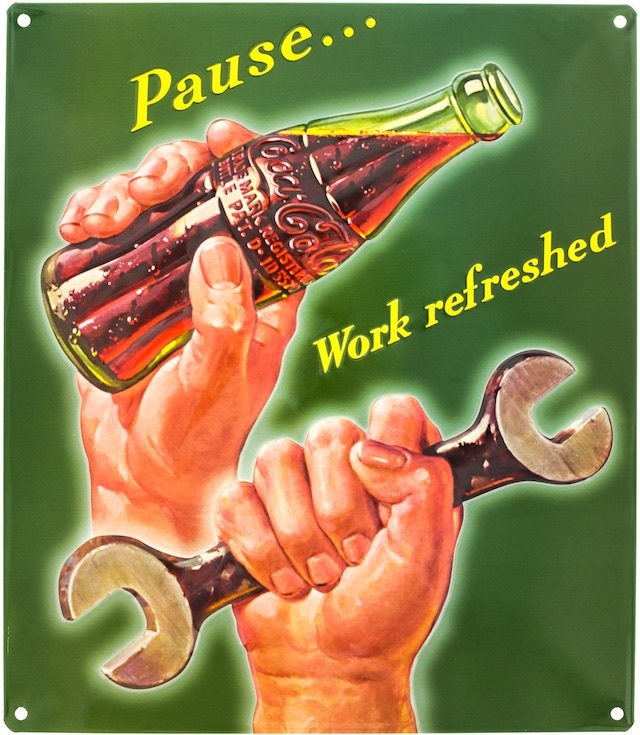 Today we are very excited to offer Coca-Cola signs, wall decals and other products that celebrate vintage slogans that remind you to pause and take a break. Coca-Cola allows you to refresh yourself by taking a rest while having a nice cold Coke. The desired result is to make your work and other tasks much easier. Coca-Cola decor is a fantastic way to celebrate the enjoyment Coke brings!